Rapper and actor 50 cent has made a $2 million offer to UFC fighter Khabib Nurmagomedov to go and join rival promotion Bellator. Nurmagomedov had his UFC 229 purse withheld by the Nevada State Athletic Commission, pending a “full investigation” for his role in a melee following his submission win over Conor McGregor in Las Vegas last weekend. 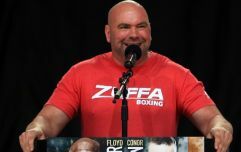 UFC President Dana White said that the commission should take $250,000 from Nurmagomedov and that he should absolutely keep his UFC Lightweight title, however, the undefeated Dagestani said that he would walk away from the promotion if they let go of his teammate Zubaira Tukhugov for hitting Conor McGregor in the post-fight brawl. "If you decide to fire him, you should know that you’ll lose me too," Nurmagomedov wrote in an Instagram post. "We never give up on our brothers in Russia and I will go to the end for my Brother. If you still decide to fire him, don’t forget to send me my broken contract, otherwise I'll break it myself." 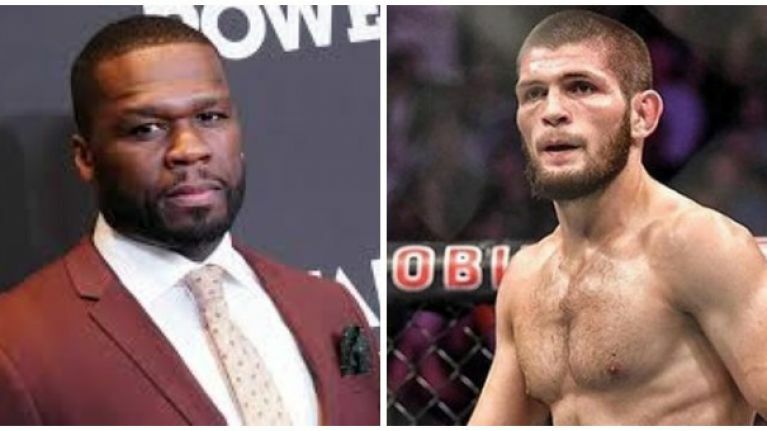 50 cent offered Nurmagomedov $2 million to leave the UFC and said that it's wrong what the promotion is doing to him in the aftermath of UFC 229. “I think it’s wrong what the UFC is doing to Khabib, they didn’t do the same thing to McGregor. I’ll pay 2 million cash tonight if he will fight for me at Bellator,” the rapper posted on Twitter. “I’ll deal with Dana and your contract later. The UFC is not the only game in town. Zubaira is welcome also. I know Khabib is a man of principle and the disrespect was overwhelming. McGregor is lucky he didn’t ignore him. Tapping out and keep going. Get the strap,” he added in another post on Instagram. 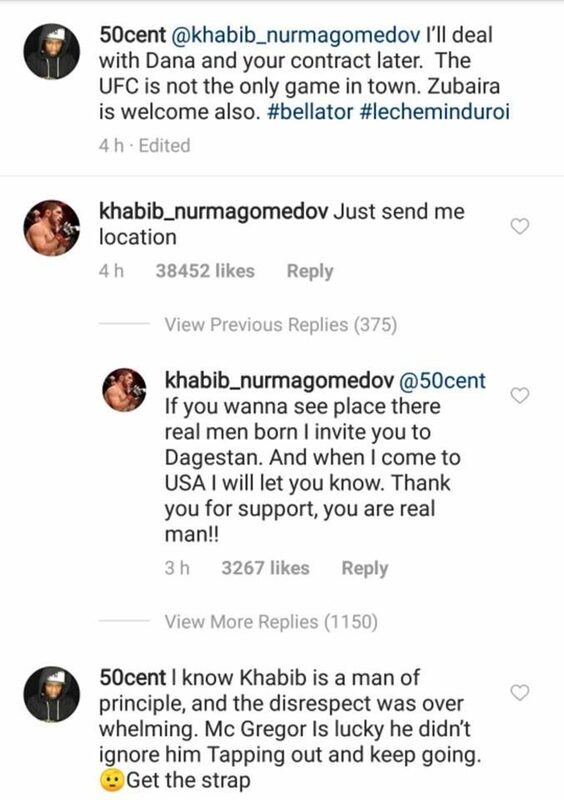 Nurmagomedov asked 50 Cent to send him his location in response and added that he will be in touch with him when he returns to America. The NSAC is expected to file complaints on both Nurmagomedov and McGregor for their roles in the UFC 229 post-fight incident. They are both facing potential fines and suspensions.